The question of ownership of intellectual property rights in seeds that have traditionally been used by our indigenous populations is being tackled by a team of experts from the University of New England. 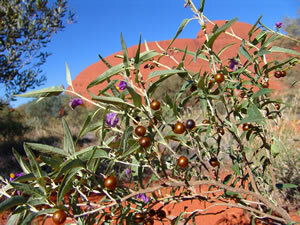 Hundreds of native plant species, many unique to this land, were traditionally used by Aboriginal and Torres Strait Islanders for food and medicines. The knowledge relating to the use, harvesting and properties of these plans has been passed down over thousands of years as Traditional Knowledge. So what happens when plants traditionally used by our indigenous population are used for commercial gain? 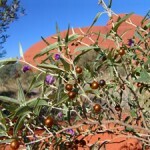 Is the Traditional Knowledge of Aboriginal and Torres Strait Islander populations protectable, and who gets the benefits from potential commercialisation of bush products? What are the legal issues for seed preservation in seed banks? Professor Mark Perry and Professor Paul Martin from UNE’s School of Law, Dr Tom Bristow from UNE’s School of Behavioural, Cognitive and Social Sciences, and post-doctorate fellow Mark Shepherd have joined forces to find answers to these questions in a project funded by the Australian Government’s Cooperative Research Centres (CRC) for Remote Economic Participation. The project, will be ongoing for a year, with funding of $79,000. Professor Mark Perry says the main aim of the research is to expand the understanding about culturally-appropriate approaches to the conservation and use of Australian seeds. “Essentially Australian seeds are genetic resources. It’s when the Traditional Knowledge that relates to those seeds, which has been passed down over generations, comes into the equation that some interesting legal and moral questions arise. “Some of these seeds potentially have significant commercial value, so it’s a lot more relevant than simply establishing a legal understanding of the issue. “We’re aiming to provide Aboriginal and Torres Strait Islander groups with information to guide their interactions with commercial cultivators who want to market certain plants and seeds. “It’s also about ensuring that Traditional Knowledge and hereditary custodianship are acknowledged and appreciated and appropriately compensated. The rights of indigenous populations have already been recognised as a key issue at a world level by the World Intellectual Property Organisation, which is a body of the United Nations. A specially formed international committee is now steering negotiations towards developing a set of international legal rules that will give some effective protection to Traditional Knowledge holders.